The AxSys 212 was the first modeling guitar amp that used software-based models to recreate the tone of analog tubes, providing unprecedented access to the sound and feel of various classic guitar amps & multiple classic guitar effects from a single 2x12" speaker combo amp. A foot controller for the AxSys 212, Flextone, and Spider amp families which provided Wah and Volume pedals, and stomp-style footswitches for tuner, effects on/off and preset selection. The Flextone family amps were an evolution of the AxSys 212 concept. The amps in the Flextone had guitarist-friendly controls for dialing in amp tones and effects settings. The Flextone was a 60-watt, 1x12 mono combo amp. The Flextone Duo was the 100-watt, 2x10 stereo combo from the original Flextone family. The Flextone Plus was a 60-watt, 1x12 combo amp with an extra power amp for powering an optional Flextone Cab - with the cab connected the amp converted to stereo operation at 50-watts per side. The Flextone Cab was a 1x12 extension speaker cabinet designed to provide stereo operation when used with a Flextone Plus amplifier. A 4-button foot controller that provided essential channel switching for early Line 6 gear. Offered as both an upgrade kit for the AxSys 212 amplifier as well as a new amplifier product, the AX2 added several enhancements, including additional amp, speaker & effects models, improved control responsiveness and a new set of factory presets. Amp Farm brought Line 6 modeling technology into a software plug-in format, allowing owners of Digidesign® Pro Tools® TDM digital audio workstations to reap the benefits of virtual amplifier & speaker sounds completely within their computer. Amp Farm has been used on countless platinum recordings since its inception. The Flextone HD was a higher power amp head addition to the Flextone amplifier family, boasting a monstrous 300-watt stereo power section. A 2x12 extension speaker cabinet that offered mono or stereo output for Flextone amplifiers. The Flextone XL was a 100-watt, 2x12 combo amplifier with a foot controller for additional amp & effects switching capabilities. The original POD was a revolutionary, kidney bean-shaped "desktop" modeling device for guitarists, offering a set of 16 amplifier models, 16 effects, and a selection of speaker cabs. It provided outputs for connecting directly to recording equipment, an external amplifier or PA system, or to headphones for late night practicing. The Spider 112 was a 50-watt, 1x12 combo amplifier featuring 6 amp and 7 effects models, factory & programmable presets, and foot control capability via the Line 6 Floorboard, all at an affordable price. The Spider 210 was a 50-watt (25-watts per channel) stereo, 2x10 combo addition to the Spider amp family. A member of the "Stompbox Modeler" family of effects pedals, the DL4 Delay Modeler is a stereo effects pedal that featured 16 models of legendary echo & delay boxes, preset programmability, tap tempo, expression pedal control and even a loop sampler. The EX1 was an optional expression pedal controller designed to work with numerous Line 6 products. A member of the "Stompbox Modeler" family of effects pedals, the MM4 Modulation Modeler features user-programmable presets, external pedal control, 16 models of coveted modulation-based guitar effects pedals such as phase shifters, flangers, chorus, vibrato, ring modulator and more. In the tradition of British "stack" amp designs, the 412T was the 4x12 speaker cab for use with Line 6 amplifiers. The 412T featured a slanted front, designed to be used as a single cab, or mounted on top of a Line 6 412B for a full stack. Like the 412T, the 412B is a 4x12 cabinet for Line 6 amps that includes Celestion® Vintage 30 speakers, designed to be used a single cab, or as a "base" cab for which to stack a 412T cab. The Flextone II 60-watt, 1x12 mono combo amp was the 2nd-generation Flextone, which added additional and improved amp models, editing capabilities and power amp, XLR and external speaker outs. The POD 2.0 desktop modeler improved upon the classic POD by upping the count of amp models to 32, added interchangeable cab models, "ToneTransfer" (preset compatibility with POD Pro and Flextone II amps), faster preset switching, an improved tuner and the SoundDiver preset editing computer software app. The POD Pro was born from adapting the POD 2.0 concept to a studio-friendly, rack mount chassis, including all the POD 2.0 features as well as added 24-Bit AES/EBU and S/PDIF digital and Dual-Mode XLR direct outputs. Line 6 offered the POD 2.0 Upgrade for owners of the original POD device, which consisted of a pre-programmed E-Prom chip and do-it-yourself instructions for the simple task of backing up your presets and changing out the chip to transform their POD to a POD 2.0. The Bass POD harnessed the core of a POD 2.0 and transformed it onto a POD designed for bassists. It featured 16 bass amp models, 16 bass cab & 16 effects, as well as all the functionality of POD 2.0, packaged in a gray colored version of the now-famous kidney bean shaped chassis. The Bass POD Pro was the Bass POD device housed within a studio-friendly, rack mount chassis, including all the Bass POD features as well as added 24-Bit AES/EBU and S/PDIF digital and Dual-Mode XLR direct outputs. The Spider 212 was a 100-watt (50-watts per channel) stereo, 2x12 combo addition to the Spider amp family. A member of the "Stompbox Modeler" family of effects pedals, the DM4 Distortion Modeler features user-programmable presets, external pedal control, 16 models of classic distortions, overdrives, fuzzes, boosts and more. The Flextone HD was a high power amp head version of the Flextone II amplifier, boasting 100-watts per channel stereo operation, Dual Mode direct outs, and a switchable series/parallel FX loop. A member of the "Stompbox Modeler" family of effects pedals, the FM4 Filter Modeler features user-programmable presets, external pedal control, 16 models of other-worldly effects such as oscillating filters, envelope followers, synth strings and more. In 2001 Line 6 produced a limited edition run of POD 2.0 units in a special chrome finish instead of the standard red. The Echo Pro was a studio-friendly, rack mount effects unit, offering models of coveted analog & tape echo and delay units. It included stereo in/out, 24-bit processing, user programmable presets, MIDI connectivity & clock sync, tap tempo and more. The FBV was the road-ready foot controller designed to work with the Line 6 Vetta, Spider II, POD 2.0 and other products of the day. It offered steel channel & bypass footswitches, 2 expression pedals, a backlit display and more. The Vetta Cab was an open-back, 2x12 extension speaker cabinet designed for use with Vetta amplifiers. It featured custom Celestion® speakers and mono/stereo connectivity. The Mod Pro was a studio-friendly, rack mount effects unit, offering models of highly sought after phase shifter, flanger, chorus and other modulation-based effects units. It included stereo in/out, 24-bit processing, user programmable presets, MIDI connectivity & clock sync, tap tempo and more. The Filter Pro was a studio-friendly, rack mount effects unit, offering models of other-worldly filter & synth effects. It included stereo in/out, 24-bit processing, user programmable presets, MIDI connectivity & clock sync, tap tempo and more. The Vetta HD was the 200-watt (100-watts per channel) stereo head version of the flagship Vetta guitar amplifier. GuitarPort brought the sonic power of the Line 6 POD to the computer, featuring a USB audio interface, software editor-librarian application and access to the GuitarPort Online website for a huge tone library and optional subscription-based lessons with classic songs of numerous styles. A member of the "Stompbox Modeler" family of effects pedals, the AM4 Amplifier Modeler featured user-programmable presets, external pedal control, 16 models of classic & legendary amplifiers. The Duoverb family of amplifiers offered a total of 16 classic amp models, simultaneous dual amp capability, stereo operation, FX loop, user programmable presets, FBV foot controller support, and more. The Duoverb Combo featured 2x12 Celestion® speakers and a 100-watt stereo power amp. The Duoverb HD was a head version of the Duoverb amplifier family. The FBV Short Board was a smaller sized version of the Line 6 FBV foot controller. It offered a backlit display, a smaller set of footswitches and one expression pedal. PODxt was a significant new generation of POD, incorporating improved amp, cab & effects models (leveraged from Vetta and the Pro effects units) and enhanced audio performance. USB connectivity was also added, allowing for its use as a computer audio interface as well as for upcoming Line 6 software. 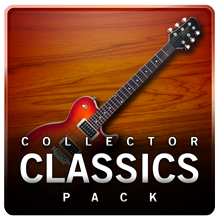 The Variax electric guitars featured built-in models emulating 25 classic electric & acoustic guitars, and other instruments. The mid-priced Variax 500 consisted of a basswood body, bolt-on maple neck, rosewood fingerboard and a special digital output to connect to supported Line 6 gear. This Variax 500 was the solid-body electric in a Gloss Black finish. The Flextone III family of amplifiers incorporated 32 Amp, 16 mix & match Cab & 12 effects models from the Vetta & PODxt generation products, FX loop, and MIDI support. The Flextone III was a mono, 75-watt, 1x12 combo amplifier. The Flextone III was a mono, 75-watt, 1x12 combo amplifier, and included an extra power amp for powering an optional Flextone III Cab - with the cab connected the amp converted to stereo operation at 50-watts per side. The Flextone III XL was a 150-watt, 2x12 combo amplifier with a foot controller for additional amp & effects switching capabilities. It also included the unique Dual Mode direct outputs as well as speaker outputs for connecting external speaker cabinets. The PODxt Pro was a rack mount chassis device, including all the PODxt features as well as Variax input, 24-Bit AES/EBU and S/PDIF digital outputs and Dual-Mode XLR direct outputs. The HD147 was a powerful amplifier head designed for heavy guitar styles. It extended the features of Flextone III amps, cabs & effects models with added modern & "other-wordly" tones, a 300-watt stereo power amp, XLR direct outs and FBV controller, MIDI & CustomTone.com support for deep editing. A rugged 4-button footswitch designed for accessing channel & tap tempo functions with all Line 6 Flextone, Vetta I & II, HD147, Duoverb and PODxt family devices. The Vetta II 2x12 Combo was a redesign of the flagship guitar amplifier, featuring a 150-watt stereo power amp, 70+ amp, 27 cab and 50+ effects models, A.I.R II room ambience with 6 mic models, dual amp operation, FX loop, digital, XLR & 1/4" outs and more. The Bass PODxt was a significant new generation of the Bass POD, incorporating improved amp, cab & effects models (leveraged from Vetta and the Pro effects) and better audio performance. USB was also added for use as a computer audio interface, as well as for upcoming Line 6 software. The Bass PODxt Pro was a rack mount chassis device, including all the Bass PODxt features as well as added 24-Bit AES/EBU and S/PDIF digital outputs and Dual-Mode XLR direct outputs. The Spider II family of amplifiers expanded upon the best-selling Spider with 12 unique amp models and 7 different effects, (3 simultaneously) tweakable via the Smart FX knob. This 1x12 combo featured 75-watts, a custom Celestion® speaker, tuner, reverb, and a headphone out. The Spider II 210 was a 120-watt, 2x10 combo member of the Spider II amplifier family. The Spider II 212 was a 150-watt, 2x12 combo member of the Spider II amplifier family. The FBV2 was a compact, 2-button footswitch designed for switching through preset channels with POD 2.0, PODxt, Bass PODxt, Spider II, III & IV, Spider Valve, Vetta I & II, HD147 and Flextone III products. The Spider II 412 cab was a robust extension speaker cabinet designed for use with Spider II and other Line 6 amps. It featured 4x12" Celestion® speakers, mono/stereo connectivity, 75-watts per side power handling and a slanted front design. The Vetta II HD was the 150-watt stereo head version of the Vetta II amplifier. The Variax 700 was the premium electric solidbody Variax guitar, featuring a contoured mahogany body, optional carved ash top, bone nut, pearl inlays and came in solid & transparent finishes. The Variax 700 Hardtail offered a fixed bridge. 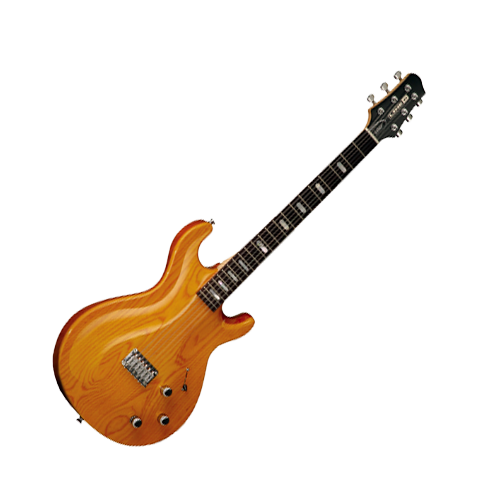 The Variax 700 Tremolo was the same specs as the 700 Hardtail model, but offered an L.R. Baggs Tremolo bridge. The Variax Acoustic family of guitars featured built-in models emulating 16 classic acoustics, including steel & nylon string, 12-string, blues, jazz & resonator guitars, banjo, mandola, sitar and shamisen, as well as programmable alternate tunings, mic position controls and a compressor. 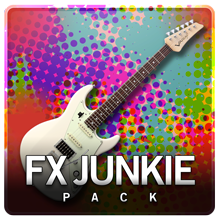 The FX Junkie is another PODxt Model Pack set, offering 35 essential effect models including synths, filters, delays, choruses, compressors, distortions, and sample and hold. The Collector Classics PODxt Model Pack add-on was designed to add a set of 18 boutique guitar combo amps, sought-after vintage heads and rare pawn-shop treasures. 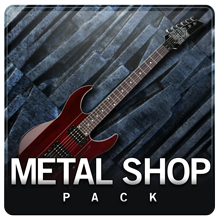 The Metal Shop Pack is the PODxt Model Pack to add 18 of the heaviest of amp models from the Line 6 HD147 head. 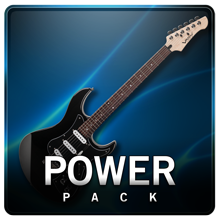 The Power Pack is a large PODxt Model Pack including 24 vintage and modern amps, 33 essential effects and more. The Spider II 15 was the budget 15-watt, 1x8" speaker combo member of the Spider II amplifier family. It offered 4 amp models, 6 Smart Control FX, tap tempo, CD/MP3 input, and headphone & direct outputs. The Spider II 30 was 30-watt, 1x12 combo member of the Spider II amplifier family. It incorporated all the features of the Spider II 15, plus FBV Controller support. The PODxt Live packaged all the features of PODxt into a performance-approved, steel pedalboard chassis. It offered an LCD display, oversized footswitches for preset banks & channels, 4 effects, tap tempo, tuner, on-board expression pedal, as well as a dedicated digital input for Line 6 Variax instruments. Echo Park was the delay effect of the ToneCore Effect Module line. It featured several models based on the award-winning DL4 Delay, including several variations of analog, tape, and digital delays, as well as tap tempo and stereo ins and outs. Uber Metal was the heaviest distortion effect of the ToneCore Effect Module line. It featured high-gain tones from HD147 and Vetta II including Metal, Pulverize, and Insane. Also built in were a selectable noise gate and mid-scoop control. Tap Tremolo was the tremolo effect of the ToneCore Effect Module line. It featured a tap tempo feature, adjustable dynamic speed control, peak setting, depth, shape, and a choice between Opto Tremolo, Bias Tremolo, or Stereo Panning. Constrictor was the compressor effect of the ToneCore Effect Module line. It featured 3 versatile compressor models based on classic analog compressors from the '60s, '70s and '80s. Space Chorus was the chorus effect of the ToneCore Effect Module line. It featured 3 models based on vintage and modern analog effects: Chorus, Tri, and Vibrato. Included controls were speed, shape, depth and tap tempo as well as stereo ins and outs. GuitarPort Riff Tracker was a special bundle of products for recording & jamming right on your computer. It included the GuitarPort USB audio interface, GuitarPort tone creation & editing app, RiffWorks recording software, and the unique InstantDrummer application, all to create a simple and powerful computer-based rig. The Variax 700 Bass was a 4-string electric bass featuring built-in models emulating 24 classic electric & acoustic instruments and bass synths. It featured an alder body, maple neck, rosewood fingerboard and a special digital output to connect to supported Line 6 gear. Offered in Black and Sunburst finishes. The Variax 300 was the most affordable electric guitar of the Variax family. It featured a solid agathis body, 25.5" scale length, bolt-on maple neck with Indian rosewood fingerboard, 12" fingerboard radius, and a special digital output to connect to supported Line 6 gear. Offered in Black and Sunburst finishes. Variax Workbench is the preset editor/librarian software for Variax instruments. By connecting your Variax via the included USB interface, Workbench makes it simple to edit pickup types & positions, body type, alternate tunings, as well as organize, backup and restore customized patches right on your computer screen. The Bass PODxt Live packaged all the features of Bass PODxt into a performance-approved, steel pedalboard chassis. It offered an LCD display, oversized footswitches for preset banks & channels, 4 effects, tap tempo, tuner, on-board expression pedal, as well as a dedicated digital input for Line 6 Variax instruments. The Spider HD75 was the 75-watt mono head of the Spider II amplifier family. The Variax 600 was a solid-body electric guitar with styling appointments to meet the taste of specific players, featuring a basswood body, 25.5" scale, maple neck with maple fingerboard, 9.5" fingerboard radius and a tremolo bridge. Offered in Sunburst, Vintage White, Blue and Black. The Variax Bass 705 was a 5-string version of the Variax Bass 700. It was offered in Black and Sunburst finishes. The FBV Express was a compact and more affordable version of the FBV & FBV Shortboard. It featured 4 effects/channel footswitches, on-board expression pedal, tuner and tap tempo control. Dr. Distorto was the distortion/feedback/sustainer effect of the ToneCore Effect Module line. It featured classic, distortion tones with incredible sustain at any level using an innovative harmonic feedback circuit. Liqua Flange was the flanger effect of the ToneCore Effect Module line. It featured selectable Digital, Liquid, and Analog models all with pass-through-zero settings delivering classic studio flange sounds and beyond. Otto Filter was the envelope filter effect of the ToneCore Effect Module line. It featured a cornucopia of auto wah filter effects with band-pass, low-pass, and custom Line 6 Twin Filter models for ultra-funky & experimental sounds. Roto Machine was the rotary speaker effect of the ToneCore Effect Module line. It featured huge, three-dimensional rotating speaker sounds, from dreamy clean to swirling overdrive. Verbzilla was the reverb effect of the ToneCore Effect Module line. It featured studio-grade algorithms for 11 amazing reverb models, from classic guitar amp-style spring reverb to high-end studio favorites. The TonePort family devices were bus-powered USB audio interfaces for Mac® & Windows®, with support for major DAW recording applications. Included was the GuitarPort & (optional) GuitarPort Plug-in software. TonePort UX1 offered guitar, mic, monitor & line inputs and stereo headphone and 1/4" analog outputs. The TonePort UX2 USB audio interface included all the features of TonePort UX1, as well as a 2nd XLR mic input, phantom power, assignable VU meters, and individual master & headphone volume controls. This Variax 300 was the affordable solid-body electric in a Vintage Sunburst finish. The LowDown series amplifiers were designed for electric bass, featuring 5 classic bass amp models, 36 programmable presets, 5 synth bass effects, SmartFX control, built-in compressor & tuner, with preamp, direct, speaker & headphone outputs and FBV foot controller support. LowDown LD150 was a 150-watt, 1x12 combo amplifier. The LowDown LD175 included all features of the LD150, but was a 175-watt combo amplifier with a 15" speaker and high frequency horn. The LowDown LD300 Pro included all features of the LD150, but was a powerful 300-watt combo amplifier with a 15" speaker and high frequency horn. The Variax Acoustic 300 guitars were offered as affordable alternatives to the Acoustic 700 lineup, featuring 2 on-board, blend-able acoustic guitar models, built-in tuner, mic placement emulation, compressor and reverb, with a single-cutaway mahogany body, spruce top, mahogany neck with rosewood fingerboard. The Acoustic 300 Steel was a steel-string. The Variax Acoustic 300 Nylon offered all the features of the Acoustic 300 Steel in a nylon-string guitar. The Floor POD was an affordable, foot-controllable unit that included tones from POD 2.0. It featured 12 classic amp models, a collection of mono & stereo effects, simple SmartFX control, 3 preset/effects footswitches, an on-board expression pedal & tuner, 64 programmable presets, MP3/CD input, and stereo 1/4" and phones outputs. The Spider III 15 was the budget 15-watt mono, 1x8" speaker combo member of the Spider III amplifier family. It offered 4 amp models, 6 Smart Control FX (2 simultaneously), built-in Boost and noise gate, tap tempo, CD/MP3 input, and headphone & direct outputs. The Spider III 30 offered all features of the Spider III 15, in a 30-watt mono, 1x12 combo amp with a custom Celestion® speaker and support for FBV foot controllers. The Spider III 75 offered all features of the Spider III 30 in a 75-watt mono, 1x12 combo amplifier with 12 amp models, 7 smart control FX (3 simultaneously) and 200 artist-crafted presets. The Spider III 120 offered all features of the Spider III 75 in a 120-watt stereo, 2x10 combo amplifier with Celestion® speakers, and 250 artist-crafted, 150 song-based & 36 user programmable presets. The Spider III 150 offered all features of the Spider III 120 in a 150-watt stereo, 2x12 combo amplifier. The Spider III HD75 offered all features of the Spider III 75 in a 75-watt mono amplifier head. The Spider III HD150 offered all features of the Spider III 150 in a 150-watt stereo amplifier head. TonePort KB37 incorporated all the features of the TonePort UX2 USB audio interface, with the addition of an integrated, 37-key, full-sized, velocity-sensitive keyboard, on-board pitch bend wheel & octave up/down switching, and several software-assignable controls. The LowDown Studio 110 was a compact 75-watt, 1x10 bass combo amplifier, featuring 4 bass amp models, synth bass, opto compressor, 4 programmable presets, jam-along CD/MP3 input, and XLR direct, preamp and headphone outputs. Bass Floor POD offered the same functionality as the Floor POD, but with 5 classic bass amp models & set of bass effects from the POD 2.0 tone set. Floor POD Plus included all the features of the Floor POD, and upped the ante with 32 amp models, a larger set of cab & effects models, additional dedicated control knobs & footswitches, MIDI in/out and USB connectivity for use with the available Vyzex preset editor/librarian software. Pocket POD is the ultra-compact, battery-powered processor with POD 2.0 technology. It includes 300 artist-crafted presets, 32 amp, 16 cab and 16 effects models, MP3/CD input, amp, direct and stereo phones outputs, and USB connectivity for use with the available Vyzex preset editor/librarian software. TonePort GX was the smallest & simplest member of the TonePort USB audio interface family. It offered guitar input, 1/8" stereo line/headphone output and a single volume knob. As with other TonePort devices, GuitarPort software was included. TonePort UX8 was the studio-friendly, rack mount version of the TonePort family. It featured powerful I/O: 8 analog ins, each with XLR & 1/4" inputs, trim control, pad, phantom power and 8 1/4" output jacks. Also included were two 1/4" instrument ins, S/PDIF in/out, 2 stereo headphone outs and USB 2.0. Spider Valve amplifiers were the result of a collaborative effort with tube amp guru Reinhold Bogner, featuring tube preamp and power amp sections plus Line 6 modeling. Included were 12 amp models, built-in effects & tuner, FBV support and preamp & direct outputs. The 112 was a 40-watt, 1x12 combo. The Spider Valve 212 included all of the features of the Spider Valve 112 in a 40-watt, 2x12 combo amplifier. The POD X3 family devices featured increased DSP power, dual signal path for up to 2 amps and 18 simultaneous effects usage, 78 amps, 98 effects and new mic preamp & bass amp models, large display, XLR Mic input, S/PDIF output, multi-channel USB audio and POD Farm plug-in software. POD X3 Live offered all the POD X3 features in a road-ready floorboard, with heavy-duty footswitches and expression pedal, plus Variax & CD/MP3 Aux input, stereo FX loop, XLR & 1/4" balanced outputs and MIDI in/out. The Spider Valve HD100 offered all the features of the Spider Valve 112 and 212 models in a higher power 100-watt amp head. The 412VS Cabs were heavy-duty, mono/stereo 4x12 extension cabinets designed for use with Spider Valve, HD147 and Vetta amplifiers, featuring Celestion® Vintage 30 speakers. 412VS-T featured a slanted front, for use as a single cab, or on top of a Line 6 412VS-B for a full stack. The 412VS-B was a straight-front version of the 412VS-T cabinet, designed for use as a single cab, or with a 412VS-T on top for a full stack. Spider Jam features the essentials of a Spider III 75-watt, 1x12 combo amp with several added practice & recording features, including a tweeter for full-range audio, 100 CD-quality recorded jam tracks, 24 minutes of recording time, and XLR mic and 2nd instrument inputs with dedicated preamp, compressor & EQ. The XDS and XDR products were UHF, 24-bit digital wireless systems for guitar, vocals and other instruments, offering 900 MHz operation, Q-Diversity™ antennas, multiple user-selectable channels, full-frequency response and more. The XDS-95 included one XDT1 belt-pack transmitter and one XDR1 stompbox-style receiver, featuring a 150-foot range. The XDR-95 was a wireless guitar system, consisting of one XDT1 belt-pack transmitter and one XDR4 rack-mount receiver, featuring a 300-foot range, attachable antennas, multiple LED front panel displays, and 1/4" and XLR balanced outputs. The XDR-952 was a wireless vocal system, consisting of one XDT4 mic/instrument input, belt-pack transmitter and one XDR4 rack-mount receiver. 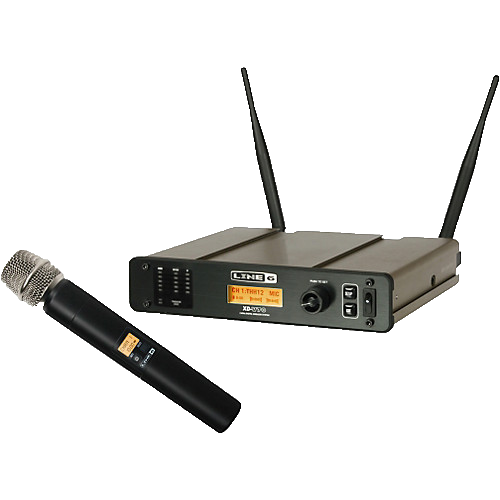 The XDR-957 was a wireless lav mic system based on the XDR-95 platform. The XDS Plus was a digital wireless guitar system consisting of one XDT1 transmitter and one XDR2 stompbox-style receiver. It featured a 200-foot range and 1/4" balanced audio and tuner outputs. Micro Spider is an ultra-portable, 6-watt, 1x6.5" speaker, battery-powered guitar amp, featuring 4 amp tones, 1 acoustic guitar tone, 6 Smart Control FX, built-in tuner, guitar, mic and jam along CD/MP3 inputs, direct output and included AC adapter. The JM4 Looper is essentially a Spider Jam amplifier in a pedal format, offering all the amps, FX, jam tracks, artist & song presets, and instrument & mic inputs and outputs. Also included is an SD card slot for recording & audio file export, and a dedicated 4-footswitch looper. The M13 Stompbox Modeler is a 15-footswitch, multi-effects pedalboard device, featuring over 100 of classic and new Line 6 distortions, reverbs, modulators, delays, filters and more. It offers up to 4 FX simultaneously, 28-second looper, 48 programmable scenes, LCD edit screens, tuner, dual expression pedal support and MIDI in/out. The LowDown LD15 was the affordable 15-watt, 1x8" combo of the LowDown bass amp family, offering 4 bass tones, 3 Smart Control FX, 4 programmable channels, instrument and jam-along CD/MP3 inputs and a headphone/direct output. Pocket POD Express was a further streamlined version of the Pocket POD, with 5 amp tones, delay/reverb and Chorus/tremolo/flanger via 2 Smart Control FX knobs,MP3/CD input, and four AAA batteries to get you powered up. The ToneCore DSP Developer Kit was a platform for DSP programmers to do sound design and develop their own digital effects pedals. The kit included a USB ToneCore Dock, containing Freescale Symphony software & audio circuitry, which connects directly to a Windows® PC, allowing easy-access programming and instant audio preview. The BackTrack was a portable digital recorder designed to easily capture audio to flash memory by auto-sensing audio signal levels. It offered 12 hours recording time of 48kHz .wav audio to its 1GB internal flash memory, with a USB 2.0 connection for transfer to your computer. BackTrack +Mic offered all the features of the BackTrack recorder, with an added built-in microphone and stereo headphone output. The Alchemist line of amplifiers were designed by amp guru Reinhold Bogner and distributed by Line 6 to offer a high quality, reasonably priced, all-tube amplifier. They featured 40-watt/20-watt operation, 2 channels, built-in reverb & delay, FX loop, and 4-button footswitch. The 112 was a 1x12 combo. The Alchemist 212 was the switchable 40-watt/20-watt, 2x12 combo amp version of the Alchemist line, including Celestion® G12H and Greenback speakers. The Alchemist HD was the switchable 40-watt/20-watt head version of the Alchemist amplifier line. The Alchemist 212 Ext. Cab was the 2x12 speaker cabinet for use with Alchemist guitar amplifiers, including Celestion® G12H and Greenback speakers. The POD Studioline is a successor to the TonePort family of USB audio interfaces, with a change from GearBox application to the new, improved POD Farm modeling and DAW plug-in software. POD Studio UX1 offers guitar, mic, monitor & line inputs and stereo headphone and 1/4" analog outputs. The POD Studio UX2 includes all the features of POD Studio UX1, as well as a 2nd XLR mic input, phantom power, assignable VU meters, and individual master & headphone volume controls. The POD X3 Pro was a rack mount chassis device, including all the POD X3 Live features (sans pedalboard) as well as an additional set of instrument and mic inputs, Variax input, 24-Bit AES/EBU and S/PDIF digital outputs, 2 unprocessed 1/4" and stereo XLR direct outputs. The LowDown HD400 was a rack-mount, 400-watt head version member of the Lowdown bass amp family, featuring 5 bass amp models, 5 bass effects, built-in tuner, jam-along CD/MP3 input, preamp and direct outputs, and FBV foot controller support. The LowDown HD750 was a rack-mount, 750-watt head version of the Lowdown HD400 bass amplifier. The LowDown LD400 Pro was a combo version of the Lowdown HD400 bass amplifier including 2x10" speakers and a compression driver horn. POD Farm is the modeling software suite that effectively replaced the GearBox application. A stand-alone application as well as an optional DAW plug-in set for Mac® & Windows®, POD Farm features the guitar, bass & studio models from POD X3. "Model Pack" expansion sets were also offered as optional add-ons. The LowDown 410 Cab was an extension speaker cabinet for LowDown bass amplifiers, including 4x10" premium Eminence® speakers and a high frequency compression driver horn and cross-over level control. POD Studio KB37 incorporated all the features of the POD Studio UX2 USB audio interface, with the addition of an integrated, 37-key, full-sized, velocity-sensitive keyboard, on-board Pitch bend wheel & Octave up/down switching, and several software-assignable controls. The XDR-955 was a wireless vocal system, consisting of one XDR4 rack-mount receiver and one XDH4 transmitter microphone (a premium, moving-coil dynamic, cardioid microphone with built-in transmitter) offering a 300-foot range. The XDR-959 was a wireless vocal system, consisting of one XDR4 rack-mount receiver and one XDR4 mic/instrument input, belt-pack transmitter, offering a 300-foot range. The Relay line of digital 2.4 GHz wireless systems features full-range sound with cable tone simulation, low noise and a simple set of controls. The Relay G30 guitar system includes a stompbox style receiver and belt-pack transmitter with 100-foot range, 6 channels, two 1/4" instrument inputs and one 1/4" output. The Spider IV 15 is the 15-watt mono, 1x8" speaker combo of the Spider IV amplifier family, offering 4 amp models, 6 smart control FX (2 simultaneously), boost, noise gate, tap tempo, CD/MP3 input, headphone & direct outputs, FBV support and free access to Spider Online resource hub. The Spider IV 30 offers all features of the Spider IV 15, in a 30-watt mono, 1x12 combo amp with, 12 amp models, 7 Smart Control FX a custom Celestion® speaker. The Spider IV 75 offers all features of the Spider IV 30 in a 75-watt mono, 1x12 combo amplifier with a built-in looper and 300 artist-crafted, 200 song-based & 64 user programmable presets. The Spider IV 120 offers all features of the Spider IV 75 in a 120-watt stereo, 2x10 combo amplifier. The Spider IV 150 offers all features of the Spider IV 120 in a 150-watt stereo, 2x12 combo amplifier. The Spider IV HD150 offers all features of the Spider IV 150 in a 150-watt stereo amplifier head. The FBV MkII line is an advanced family of foot controllers, including rugged footswitches & on-board pedal, RJ-45 & USB connectivity, MIDI over USB, and FBV Control software for customization of controller mapping. FBV Shortboard MkII featured 13 footswitches, on-board pedal, expression pedal input and large LCD display. FBV Express MkII is the simpler foot controller device of the FBV MkII line, with 4 large footswitches, on-board pedal and built-in tuner with LED display. The M9 Stompbox Modeler is a down-sized version of the M13 Stompbox Modeler multi-effects device, featuring a compact chassis, 75+ effects total (3 simultaneously), 6 programmable scenes, tap tempo, 28-second looper, 2 expression pedal inputs, LCD display, stereo in/out and MIDI in/out. The Spider Valve MkII succeeded the original Spider Valve amplifier family, offering an all-tube + modeling design with additional and improved effects models, pre-post FX routing, Looper, FBV MkII controller support, MIDI in/out and an editor/librarian software. 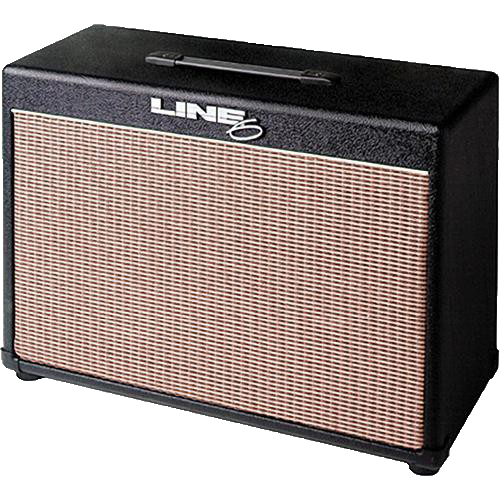 The 112 model was a 40-watt combo with one 12" Celestion® speaker. The Spider Valve MkII 212 was a 40-watt, 2x12 combo version of the Spider Valve MkII amplifier. The Spider Valve MkII HD100 was a 100-watt head version of the Spider Valve MkII amplifier. The MIDI Mobilizer was a mobile MIDI Interface for Apple® iOS devices, providing 5-pin MIDI input & output and the MIDI Memo Recorder iOS app for recording, playback and back-up & restoration of MIDI information on the go. The Relay G50 is a guitar wireless system which included a stompbox style receiver and belt-pack transmitter with a 200-foot range, 12 channels, two instrument inputs and two 1/4" outputs. The Relay G90 is a guitar wireless system which included a rack-mount receiver and belt-pack transmitter featuring attachable antennas, 300-foot range, 12 channels, two instrument inputs and two 1/4" outputs and one XLR output. The XD-V family was the 4th generation of 2.4 GHz digital wireless systems, featuring full-frequency response, wide dynamic range and superior transient response. XD-V70 was a 12-channel, 1/2-unit rack size receiver with a 300-foot range, 2 mountable antennas and included rack-mount kit. The XD-V70L was a full wireless mic system including the XD-V70 receiver, lavalier microphone with tie-clip & windscreen, and a belt-pack transmitter with protective storage case. The XD-V30L digital wireless system was the same kit as the XD-V30, substituting a clip-on lavalier microphone in place of the XD-V30's handheld mic. The POD HD family introduced advancements such as 16 all-new HD amp models, 80+ effects, 512 preset locations, 24-second looper, USB 2.0 audio, and free editor/librarian software. The POD HD 300 floor unit included an expression pedal, LCD display, Variax input, stereo XLR and L6 LINK digital outputs. The POD HD 400 floor device included all features of the HD 300, with dedicated preset bank footswitches, 10 additional effects models, stereo FX loop, and input for a 2nd expression pedal. The POD HD 500 was the largest floor POD HD, incorporating all features of HD 400, as well as over 100 effects (8 simultaneously), 48-second looper, a larger set of footswitches, large display, dual signal path capability, enhanced deep parameter editing, and MIDI in/out. The DT all-tube guitar amplifiers integrated HD amp modeling and L6 LINK digital input, offering elaborate control of its topology options via POD HD devices for a combined high-performance guitar system. DT50 112 was a 50-watt, 1x12 combo with 2 channels, FX loop, XLR direct out and MIDI in/out. The DT50 212 was a 50-watt, 2x12 combo version of the DT50 amplifier featuring 2 Celestion® speakers. The DT50 head was a head version of the DT50 amplifier. The DT50 412 Cab was a 4x12 extension speaker cabinet designed for use with DT amplifiers. It incorporated a combination 2 Celestion® Vintage 30 and 2 Custom Celestion® G12H90 speakers. The James Tyler Variax family is a line of electric modeling guitars designed by famed luthier James Tyler, offering improved playability, vintage-meets-modern styling and updated Line 6 Variax HD modeling. JTV-69 featured SSH pickup configuration, Alder body, vintage-style Tyler neck and a custom tremolo bridge. The James Tyler Variax JTV-89 is an electric for heavier styles, with Tyler-designed, high-output alnico humbucking pickups, 3-piece maple neck, 24-fret rosewood fingerboard, reverse headstock and a custom wraparound bridge. The James Tyler Variax JTV-59 offers classic styling with PAF-style alnico humbuckers, mahogany body, maple top, and a custom wraparound bridge. The M5 Stompbox Modeler is the most portable of the M-Series effects pedals, with access to all 100+ of the M-Series models, one at a time. It included stereo in/out, tuner, 24-second looper, expression pedal input, tap tempo, footswitch-accessed programmable presets, and MIDI in/out. The XD-V7HS is a full wireless mic system including the XD-V70 2.4GHz digital receiver, omnidirectional condenser headset microphone with windscreen, and a belt-pack transmitter with protective storage case. The XD-V30HS digital wireless system is the same kit as the XD-V30, substituting a cardioid condenser headset microphone in place of a handheld mic. 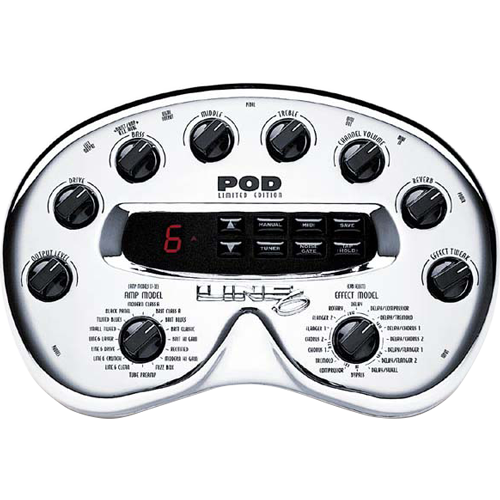 POD HD was the classic "kidney bean" desktop POD HD modeler device, including the core features of the line: Full set of HD amp & effects models, LCD screen, 1/4" instrument & XLR mic inputs, USB 2.0 audio, FBV MkII controller support, and stereo 1/4" & S/PDIF outputs. The MIDI Mobilizer II was the successor to the original MIDI Mobilizer iOS interface, offering CoreMIDI support, the Apple® standard for iOS MIDI, for improved compatibility with more iOS music apps and MIDI instruments & devices. The DT25 112 is a 25-watt, 1x12 combo version of the DT amplifier family, including all the features of the DT50 amps in a lower wattage, EL84 tube design. The DT25 Cab is a compact, 1x12 extension speaker cabinet for use with DT25 amplifiers, including a 12" Celestion® speaker. The DT25 Head is a head version of the DT25 amplifier, typically matched up with the DT25 1x12 Cab for a small but powerful setup. POD HD Pro was the studio-friendly rack-mount version of the POD HD line with additional I/O, including stereo FX loop, 1/4" instrument, XLR mic & Variax in, stereo S/PDIF, AES-EBU & L6 LINK digital in/out, MIDI in/out, stereo 1/4" & XLR outs, and a 1/4" dry out. The Mobile In was a high quality, 24-bit/48kHz audio interface for Apple® iOS mobile devices. It was compatible with iOS music apps for recording and playback, and included guitar & stereo line inputs, 6-foot guitar cable, and the Line 6 Mobile POD iOS modeling app. The XD-V75HS (BLK) is the same wireless mic system as the XD-V75, but with a black condenser headset microphone and belt-pack transmitter in place of the XD-V75's handheld mic. The XD-V75HS (TAN) is the same wireless mic system as the XD-V75, but with a tan colored condenser headset microphone and belt-pack transmitter in place of the XD-V75's handheld mic. The XD-V75L is the same wireless mic system as the XD-V75, but with a premium, clip-on lavalier microphone and belt-pack transmitter in place of the XD-V75's handheld mic. The XD-V75TR is a wireless system including the 300-foot range, 1/2-unit rack size XD-V75 digital receiver and TBP12 belt-pack transmitter with instrument and mic inputs. 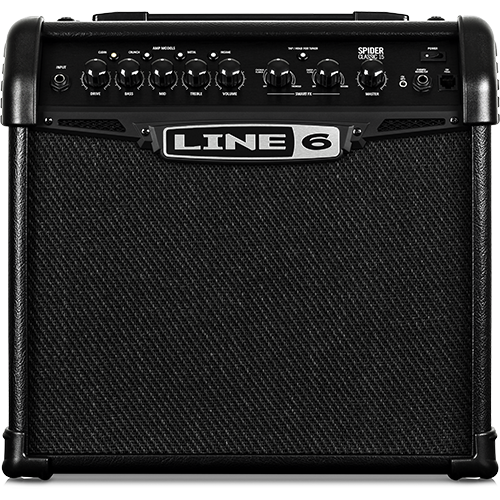 This system also includes 9 custom Line 6 EQ filter models to optimize your sound. The Mobile Keys 25 was the first-ever MIDI keyboard compatible with iOS devices and Mac® & Windows® computers. It featured 25 velocity-sensitive keys, pitch & mod wheels, volume & pan knobs, octave up/down buttons, 1/4" expression pedal & sustain pedal jacks, USB port & an iOS device cable. The Mobile Keys 49 offered all the features of the Mobile Keys 25 in a larger 49-key device. The XD-V35L is the same wireless mic system as the XD-V35, but with a premium, clip-on lavalier microphone and TBP06 belt-pack transmitter in place of the XD-V35's handheld mic. The XD-V55HS is the same wireless mic system as the XD-V55, but with a black condenser headset microphone and TBP12 belt-pack transmitter in place of the XD-V55's handheld mic. The XD-V55Lis the same wireless mic system as the XD-V55, but with a clip-on lavalier condenser microphone and TBP12 belt-pack transmitter in place of the XD-V55's handheld mic. The StageSource is a line of professional live sound active monitors with unique "Smart Speaker" technology, featuring live & reference sound optimization modes, L6 LINK digital intelligent network connectivity, and road-worthy construction. The StageSource L3s was the 1,200-watt Subwoofer of the line with 2x12" low-frequency drivers. The StageSource L3t is a 1,400-watt PA tower speaker, with 2x10" low-frequency drivers and 1" high-frequency driver, integrated multi-channel mixer (with EQ, feedback suppression, and more), and L6 LINK scalable network connectivity. The StageSource L3m is a 3-way, tri-amped, 1,400-watt, tower/monitor speaker with 2x10" low-frequency drivers & 1" high-frequency driver, equally capable as a floor monitor, front of house speaker, backline amp, or even a standalone PA system. It includes DSP modeling, an XLR/TRS & stereo auxiliary inputs, L6 LINK connectivity. The StageScape M20d is a 20-channel digital audio mixer with a large, interactive touchscreen interface, auto-sensing inputs and outputs, built-in processing, USB/SD card & USB audio recording, and remote control via Apple® iPad®. The M20d also includes L6 LINK intelligent networking for scalable connectivity with StageSource active speakers. The Relay G55 is a 4th generation Line 6 digital guitar wireless system, which included a 1/2 rack size receiver and belt-pack transmitter with a 300-foot range, 12 simultaneous channels, XLR and 1/4" outputs. The JTV-59P is a single-cutaway, set-neck electric guitar addition to the Variax family. It featured two P-90 soapbar pickups for a classic look and vintage tone, ideal for classic edge-of-breakup blues, modern rock and more. Offered in Gold Top and Black finishes. The JTV-69S is a traditional styled, 3-single coil pickup addition to the Variax family. It was offered with a tremolo bridge and in Three-tone Sunburst, Black, Shoreline Gold or Olympic White. The JTV-89F is the JTV-89 model Variax guitar with a Floyd Rose licensed, double-locking tremolo system added. The StageSource L2m is a bi-amped, 800-watt, monitor speaker with 1x10" low-frequency driver & 1" high-frequency driver, equally capable as a floor monitor, PA or solo instrument speaker. It includes 6 "Smart Speaker" modes with sound optimization, an XLR/TRS & stereo auxiliary inputs, and L6 LINK connectivity. The StageSource L2m is a bi-amped, 800-watt speaker with 1x10" low-frequency driver & 1" high-frequency driver, designed for use either as pole-mounted or as a floor monitor. It includes 6 "Smart Speaker" modes with sound optimization, 2x1/4" instrument, 1x1/4" line & 1 x stereo inputs, and L6 LINK connectivity. Sonic Port is the high quality, 24bit/48kHz audio interface for 30-pin and Lightning port Apple® iOS devices. It comes with a free license for the Mobile POD iOS app, instant access to features within the Jammit guitar app, and compatibility with major music apps for recording and playback. The V75-SC is an expansion kit to add a premium super-cardioid capsule to and XD-V75 digital wireless handheld mic system. It includes a super-cardioid capsule, custom hard-shell case, chrome mic grille, black mic grille, extra batteries and mic clip. The V75-40V is a hyper-cardioid wireless mic which combines Line 6 digital wireless technology with the renowned Earthworks® WL40V premium hyper-cardioid capsule, delivering studio quality sound and outstanding live stage performance. POD HD 500X is an updated version of the POD HD 500 floor modeling device, incorporating all the features of the POD HD 500, with extra DSP horsepower added to provide the use of additional simultaneous effects, several added amp & effects models, and improved multi-color, LED-illuminated footswitches. POD HD Pro X is an updated version of the POD HD Pro rack-mount modeling device, incorporating all the features of the POD HD Pro, with extra DSP horsepower added to provide the use of additional simultaneous effects, and several added amp & effects models. The AMPLIFi guitar amplifier family uniquely combines 200+ amp & effects models, Bluetooth wireless streaming music playback, remote control via an iOS/AndroidTM mobile app, and a huge cloud library of tone-matching presets. AMPLIFi 75 is a 75-watt combo with a 5-speaker stereo design, Aux & Phones outputs, and USB audio. The AMPLIFi 150 is a stout, 150-watt combo version of the AMPLIFi 75 modeling amp, with a 12" Celestion speaker at the heart of its 5-speaker stereo set & FBV controller support. The AMPLIFi FX100 is a guitar floorboard device, incorporating all the tech features of the AMPLIFi amps, sans the power amp & speakers. It offered footswitch access to presets & tap tempo, LED numerical display, on-board expression pedal and stereo 1/4" outputs to feed to an amp or PA. The portable, bus-powered Sonic Port VX expands upon the original Sonic Port 24-bit/48kHz iOS audio interface, adding integrated mono & stereo condenser microphones, a mic preamp, Mac® and Windows® support, and a free license for the Line 6 Mobile POD guitar iOS app. AMPLIFi TT offers the models, presets, Bluetooth streaming, remote control & tone-matching features of the AMPLIFi family in a simple, table-top device, to turn any Hi-Fi or powered speaker system into a guitar amp. It offers a direct Amp out, stereo RCA, 1/4" & headphone outs, and USB. The Firehawk family expands on the AMPLIFi's Bluetooth streaming, mobile remote & tone-matching features with greater studio & stage functionality, including 48 HD & 300+ total models, Variax input, FX Loop, and a Looper. The Firehawk FX floorboard includes multi-color LED footswitches, expression pedal, and stereo XLR & 1/4" outputs. The Variax Standard Black is the Variax Standard electric guitar in a solid black gloss finish. The Relay G70 is a tour-grade, 24-bit digital wireless system for guitar & bass. It features a stompbox style receiver with a 200-foot range, support for multiple instrument transmitters, "scene" preset capability, quad-antenna array/dual receiver topology, XLR and dual 1/4" outputs, and a belt-pack transmitter with locking cable. The Relay G75 digital wireless system for guitar & bass offers the same specs as the Relay G70 system, but with the receiver within an amp-top, steel enclosed format. Helix has taken over as the flagship multi-effects floorboard system, featuring a new dual-DSP HX modeling engine with 45 amps (4 simultaneously), 30 cabs, 16 mics, and 70 effects, 4 stereo paths, 6.2" multi-color display, expression pedal, 8-in/8-out USB audio interface, and 10 inputs & 12 outputs (including 4 FX loops). The Firehawk 1500 offers all the functionality of the Firehawk FX unit in a powerhouse 1500-watt stereo stage amp. It features a special "wet/dry/wet" 6-speaker system, stereo FX loop, instrument, Variax and combination XLR - 1/4" monitor inputs, MIDI in/out, FBV 3 controller support, and stereo XLR main outputs. The Helix Rack offers all the features, inputs & outputs of the Helix floor unit in a 4-space rack-mount chassis, sans the integrated footswitches and expression pedal. Helix Rack could be remotely controlled via MIDI, or the optional Helix Control unit. Helix Control is a dedicated floorboard controller for use with the Helix Rack device. It featured a sturdy metal chassis, touch-sensitive footswitches with multi-color LED rings & custom scribble strip displays, 3 expression pedal inputs, and a single cable data/power connection. AMPLIFi 30 is a "lunchbox" sized combo version of the AMPLIFi modeling amp family, featuring 30-watts and a special stereo 4-speaker system. The Relay G10 is the ultra simple & affordable 24-bit digital wireless system for guitar & bass, featuring a 50-foot range, automatic plug-and-play setup, and a transmitter with built-in Li-ion battery that plugs into the docking receiver for charges that last up to 8-hours of play time. The FBV 3 is a professional foot controller for the Firehawk 1500 amp and other Line 6 gear, featuring an LCD display, 5 FX footswitches with multi-color LEDs, 8 bank/channel footswitches, on-board expression pedal with toe switch, additional expression pedal input, a single-cable data/power connection and USB. 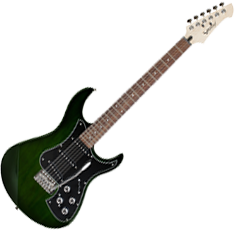 The Variax Limited Edition Emerald is the Variax Standard electric guitar with a custom emerald green finish. Each guitar includes a “Limited Edition” insignia and custom serialized number plate. The Spider V 30 is the 30-watt combo version of the Spider V Series amplifier family. Featuring a bi-amped full-range speaker system with an 8” loudspeaker + tweeter, it offers over 200 amps, effects and cabs, built-in drum loops and metronome, a USB output and free Cubase LE recording software. The Spider V 60 offers all features of Spider V 30, in a 60-watt combo amp with a bi-amped full-range speaker system with 10” loudspeaker + tweeter. Spider V 60 is wireless-ready for Line 6 Relay transmitters and features a built-in looper. The Spider V 120 offers all features of Spider V 60, in a 120-watt combo amp with a bi-amped full-range speaker system with 12” loudspeaker + tweeter. Spider V 120 features XLR direct outputs for live use. The Spider V 240 offers all features of Spider V 120, in a 240-watt combo amp with a bi-amped full-range speaker system with 2 x 12” loudspeakers + 2 tweeters. The Spider Classic 15 is a 15-watt combo amplifier with a 1 x 8" speaker. It offers 4 amp models with fully adjustable parameters, 6 classic effects, and Spider Edit software for easy tone editing and management. The Spider V 240HC head is the world’s first guitar amp head with an integrated full-range stereo speaker system for practicing and tone creation. When paired with a Spider 412 cabinet, the built-in speakers provide stereo high frequency precision in a massive full-range stage rig. The Echo Farm 3.0 plug-in offers a legendary collection of echo effects based on vintage hardware units and Line 6 originals in an updated 64-bit AAX format for Pro Tools 11 and higher. The Shuriken Variax SR270 guitar is the result of collaboration between Shuriken Guitars, Line 6, and Yamaha Guitar Development. Shuriken Variax SR270 features a 27" scale length, an assertive body shape, and Variax HD technology. The Helix LT guitar processor features the same advanced HX Modeling technology found in Helix Floor and Helix Rack. With a streamlined I/O compliment and hardware configuration, Helix LT delivers the highest levels of performance, flexibility and control in its class. The Helix guitar/effects processor plug-in accurately recreates the dynamic sound and feel of vintage tube amps, cabs, mics and effects. It offers the same precision HX amp and effects modeling as the Helix and the Helix Rack guitar processors. 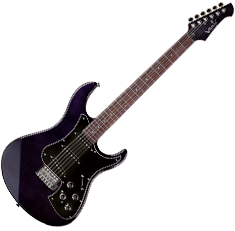 The Variax Limited Edition Amethyst is a Variax Standard electric guitar with a custom a translucent-purple finish over a flamed-maple veneer top. The color was selected through a vote by more than 2,000 guitarists in the Color Sweepstakes contest. Each guitar includes a Limited Edition insignia and custom serialized number plate. The Variax Limited Edition Onyx guitar is a Variax Standard electric guitar with a custom translucent-black finish over a flamed-maple veneer top. Each guitar includes a “Limited Edition” insignia and custom serialized number plate. HX Effects is a compact and pedalboard-friendly multi-effects unit that offers 100+ effects drawn from award-winning Helix hardware and software processors, plus dozens of legacy sounds from the acclaimed Line 6 M-Series and Stompbox Modeler pedals. The Powercab 112 active guitar speaker system introduces Speaker Modeling—this is the first time individual speaker drivers have been modeled in a product. Powercabs also feature custom hybrid coaxial loudspeakers that deliver the wide range of a P.A. speaker with the snappy response of a guitar speaker. 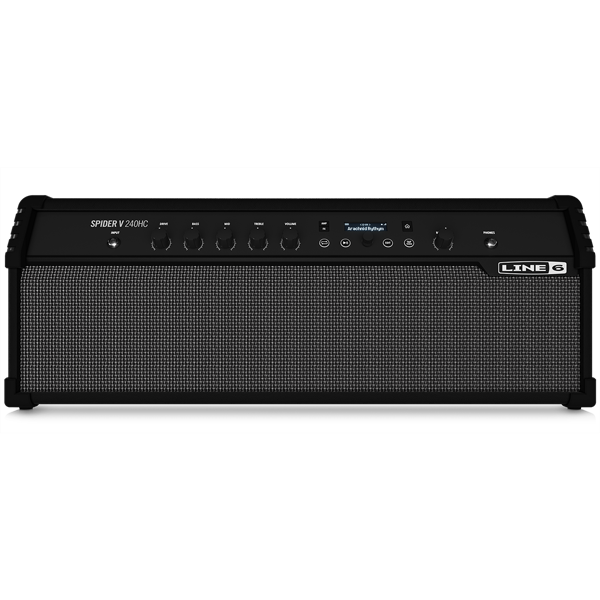 The Powercab 112 Plus active guitar speaker system offers all of the features of the Powercab 112, plus powerful advanced features such as a 2-inch LCD, 128 user preset locations, MIDI In/Out, AES/EBU and L6 LINKTM digital I/O, a multipurpose second input, a USB audio interface, and loading of up to 128 third-party speaker cabinet impulse responses (IRs). Spider V 20 is a 20-watt combo amp with an 8” loudspeaker featuring 16 presets and three simultaneous effects. The Spider V 20 amp offers an independent reverb control, a built-in tuner, tap tempo for delays and other time-based effects, and a micro USB output for recording and editing. The HX Stomp guitar processor delivers more than 300 Helix amps, cabs, and effects in an ultra-compact pedal—up to six simultaneously. HX Stomp is at once a “super stompbox,” a backup or travel rig, an add-on tone expander, and a multi-channel audio interface. The Spider V 20 Red Edition amp offers guitarists a colorful alternative to the original Spider V 20—available in limited numbers from select dealers. Relay G10S is an easy-to-use 24-bit lossless digital wireless system for guitar & bass, designed especially for use on pedalboards. It features a 130' (40m) line-of-sight range, a rugged metal housing, an XLR output for professional applications, and includes a G10T transmitter and a 9V power supply.